Now that the cat is out of the bag with Trinity, AMD’s latest APU, motherboard manufacturers are announcing their product offerings geared towards the new platform. 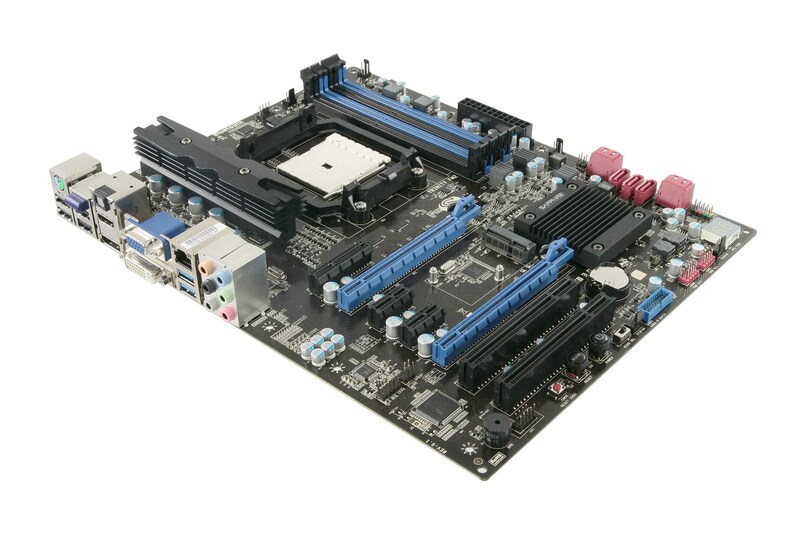 First up is a beefy board from Sapphire, the Pure Platinum A85XT motherboard. Though one of my personal favorite video card brands — especially when overclocking said GPUs — I have yet to take a Sapphire motherboard for a test drive. Let’s see what this new board brings to the table. The Sapphire Pure Platinum A85XT takes full advantage of the all the display options AMD’s Trinity has to offer, including DisplayPort, Dual Link DVI-D, HDMI and VGA outputs (support for up to four independent displays). Sticking with the connectivity theme, this board features seven SATA III 6Gb/s ports (that’s more than most mainstream Intel boards) and four USB 3.0 ports. Additionally, there are two PCI-Express 16x slots, which means in addition to Trinity’s solid integrated GPU, users can CrossFire two more GPUs. In terms of overclocking, the Pure Platinum A85XT has a few nifty features like dual UEFI BIOS, Sapphire Diamond Black chokes and multi-phase PWM voltage regulation. While these items would not shock me on a high-end $300+ Intel board from ASUS or Gigabyte, I was impressed to see features like this for an APU that maxes out at $122. The Sapphire Pure Platinum A85XT offers the features of a mid-range overclocking board for a budget APU product, which can only mean one thing for overclockers, low-risk fun without the fear of destroying a $300 CPU or motherboard. They had motherboards since... 700 Series IIRC. Must have been an OEM supplier. Sapphire has been making mobos for a long time. They used to be known for their "Pure White" mobos that were actually white (although the slots-etc were all circus clown colors) and now they have moved on to the "Pure Black" (Black PCB, blue slots)and now "Pure Platinum" names, although I have no idea what looks or is "Platinum" on them. I agree never seen one on newegg or heard about them till now. OEM="Original Equipment of Manufacture". Boards that are not typically sold as retail aftermarket components but ship in mass-produced computers like HP and Dell and Gateway.